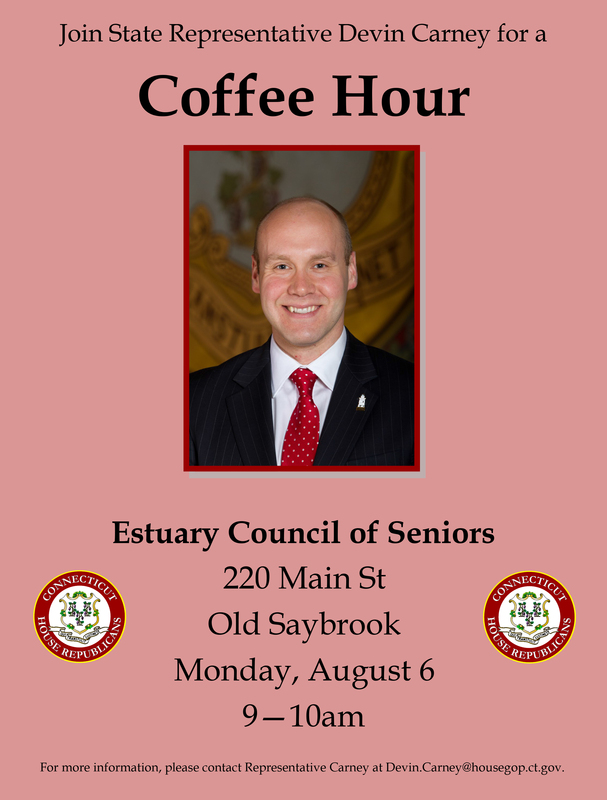 OLD SAYBROOK—State Representative Devin Carney will hold a coffee hour event at the Estuary Council of Seniors, located at 220 Main Street in Old Saybrook on Monday, August 6, 2018 from 9:00 a.m. – 10:00 a.m. This session will provide constituents with an opportunity to ask questions or share their ideas and concerns about state government. For more information please contact Carney’s office at 800-842-1423 or by email at devin.carney@housegop.ct.gov.